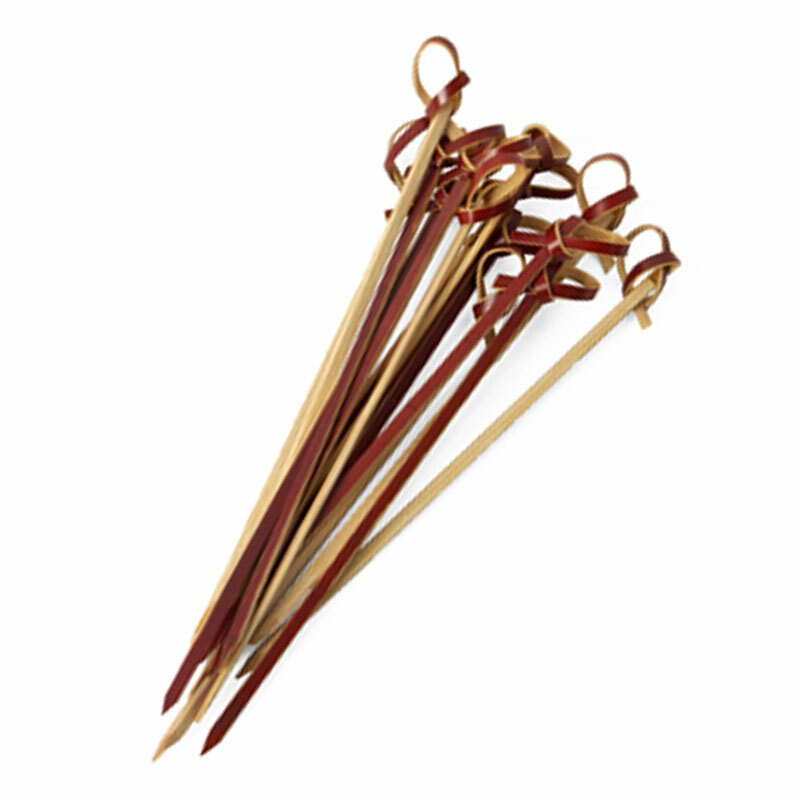 Knotted Brown Bamboo Skewers - 7""
Our popular bamboo knotted skewer now comes in a brown version! Perfect for adding a nice finishing touch to all your appetizers or sandwiches. 7" long. 100 per pack. Made in China.